Its final day – not “it’s” final day. If you are in journalism, this is a very basic bit of info you should know. Or you could just let it go. Whoa… end of an era. I just walked over there and asked an employee. She said it was NOT true they were closing on March 31. There also is no signage saying that, and they just went through a renovation. So here’s hoping!!! @Marc — boy I hope so. I was sorely disappointed to hear this. 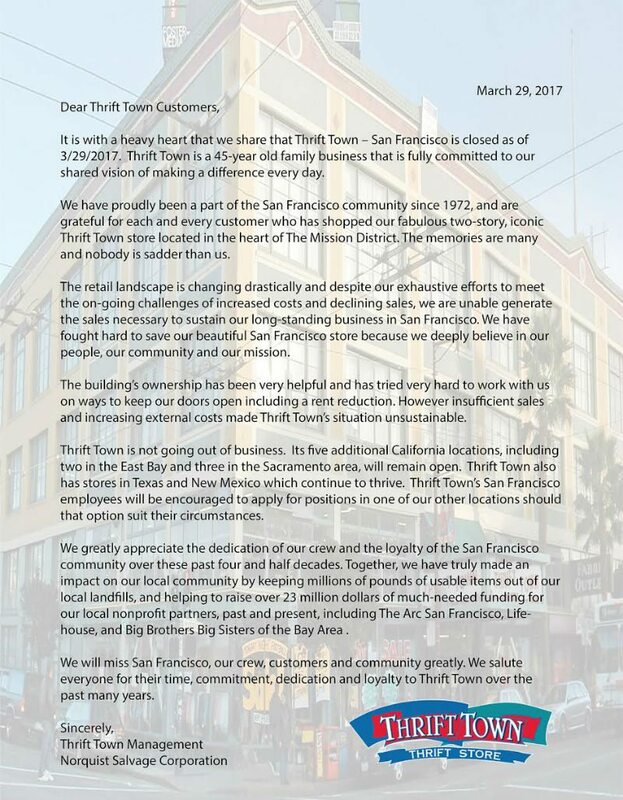 So…you didn’t confirm this with Thrift Town before posting it? So, MM, you were dumb enough to post this on a whim. Are you at least going to follow up and confirm? I guess that would be expecting too much. so when you go over on saturday to see if the rumor is true, well, what day is it?